Welcome to the website of the Vauxhall Viva Owners club. The club has a long and extensive history, and in 2008 the club celebrated its 25th anniversary. 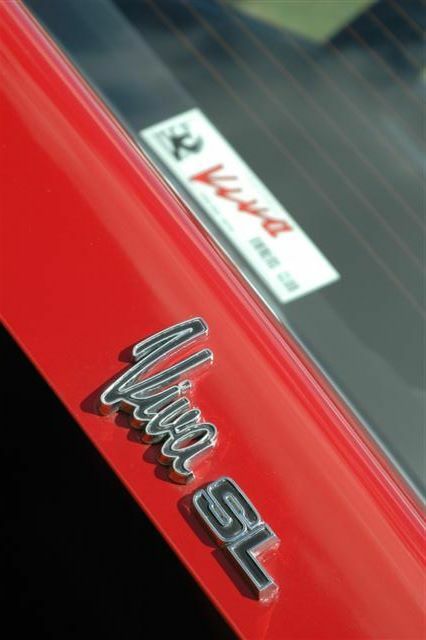 The club was originally formed in 1982 by Adrian Miller and in 1987 the club enlarged itself to cater for all models of the Vauxhall Viva, From HA’s to the, HB, HC, Firenza and Magnum. The club has grown over the decades and now numbers several hundred members. Our club has changed with the times and we now look forward to the future. Since Late 2006 the club has been committee run, and there are currently 6 members holding down positions on the committee. Each member has had to demonstrate a certain amount of commitment and ability to be able to fulfil the respective roles, and has had to be voted on to the committee via the vote at the clubs AGM. Add to this a further 6 members in peripheral roles such as Archivist and Area Representatives. All these roles are carried out by volunteers who give their own time and often resources to help the club run as smoothly as possible. No one is suggesting for one moment that any of these posts are easy, but we try where ever possible to make our lives while serving the club as enjoyable as possible. Committee meetings usually run well over time because we are discussing our own ideas or laughing and joking away the time. For all this, we are always on hunt for people to help. The greater the spread of the work load, the easier and thus more enjoyable helping the club becomes, and at the moment we have a pretty good crowd that work well with each other. If you feel you are able to take up the challenge of one of our committee roles, or indeed just feel that you can help the club in some way by providing your time as a spare pair of hands at one of the events, then all you need to do in the first instance is contact us. We are not above accepting help when it’s offered. If you want more details about joining the club then you can get more details from The Membership Secretary who will be happy to assist you.